Shennuo Bao has ardently loved music since he was young beginning the violin at the age of five. In 2012, he was admitted into the Shanghai Music Middle School affiliated with the Shanghai Music Conservatory where he studied, and still studies, with professor Chengxing Huang. During his time at school, he has held many solo concerts. He also has attended many music festivals and master classes. In 2016 he won the first price in the youth category of the Yilan Taiwan International Music Festival. 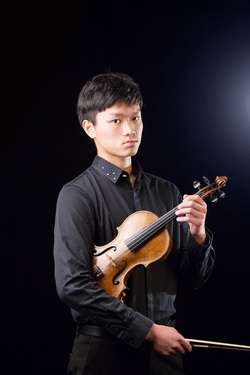 That same year, he won the second price in the youth division of the 6th Hongkong International Violin Competition.